We’re an online group of quilters who have joined together to make and donate String Quilts to local charitable organizations. 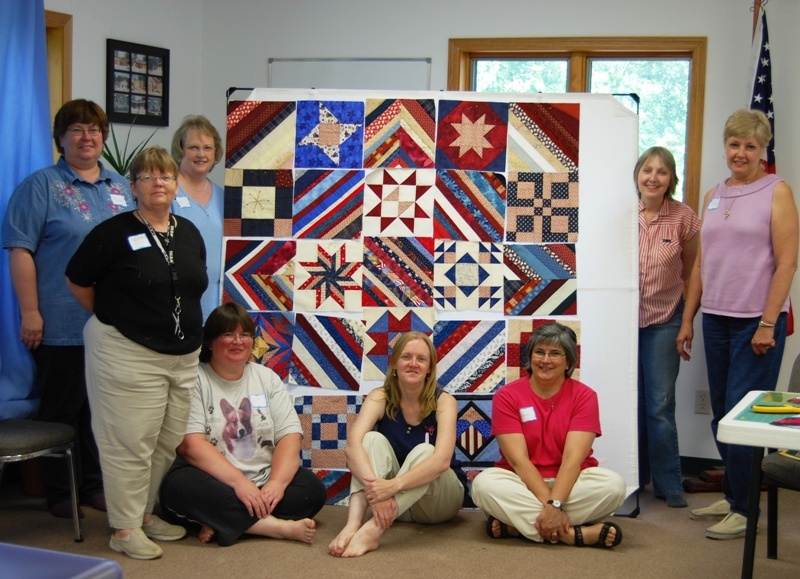 We contribute to group quilts through donating blocks, assembling and quilting tops and we support each other with encouragement and inspiration as we work on our own string quilt projects. What an awesome idea of that sample/string quilt combined! I’ve made several string quilts. I love making scrap quilts of any kind. The thought of making 12-20 identical blocks, including fabrics and colors to make a quilt, doesn’t excite me in the least. LOL!